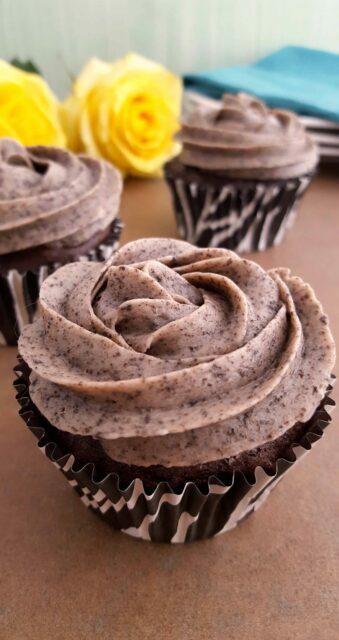 This Cookies and Cream Cupcakes Recipe is perfect for any Oreo lover! I love cupcakes. They are probably one of my favorite desserts. When my birthday comes around, I always opt for cupcakes rather than a cake. 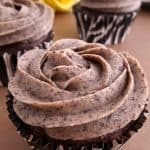 These Oreo cupcakes are amazing and perfect for any party! 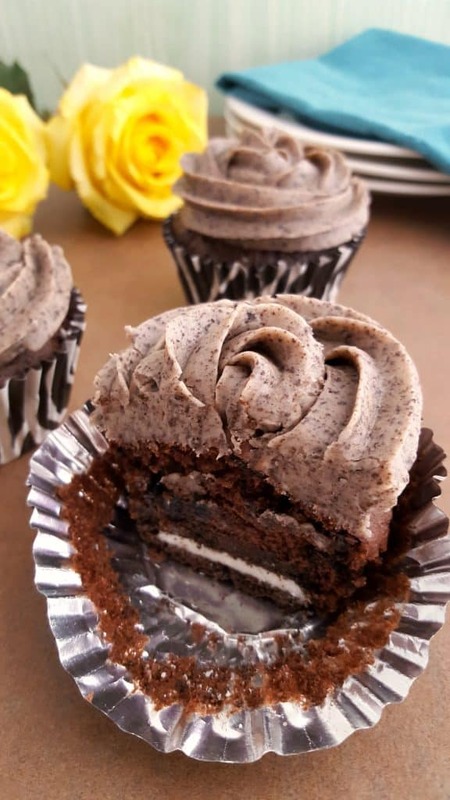 You’ll love the Oreo stuffed cupcake and Cookies and Cream frosting. If you love Oreos, you might also like our Oreo Fudge, Oreo Toffee and Peppermint Oreo Balls. any box of chocolate cake mix if not GF. 3. Prepare cake mix according to box directions. (cream filling and all) into the chocolate cake mix and combine. 5. 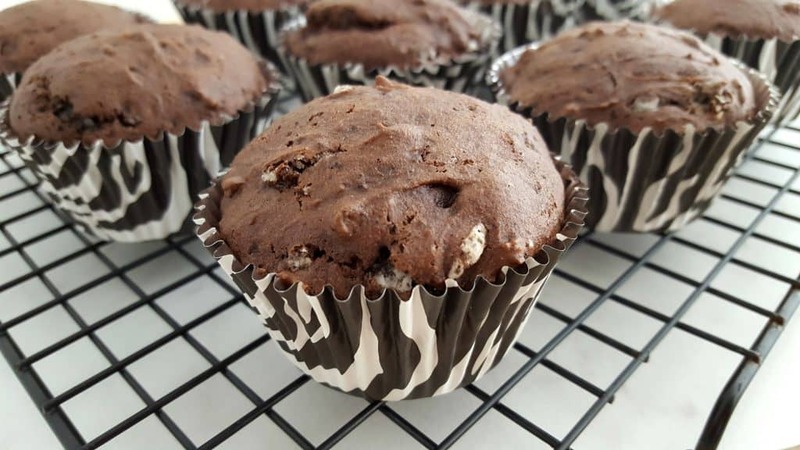 Fill each cupcake liner, two-thirds full with prepared cake mix. Bake as directed. 6. While cupcakes are baking, prepare the frosting. then slowly add in the powdered sugar until well blended. become a fine crumb consistency. Add to the prepared frosting, and mix well to combine. up the chunk to allow the frosting to flow back through. Fill each cupcake liner, two-thirds full with prepared cake mix. Bake as directed. While cupcakes are baking, prepare the frosting. After cupcakes have cooled completely, add desired amount of frosting. 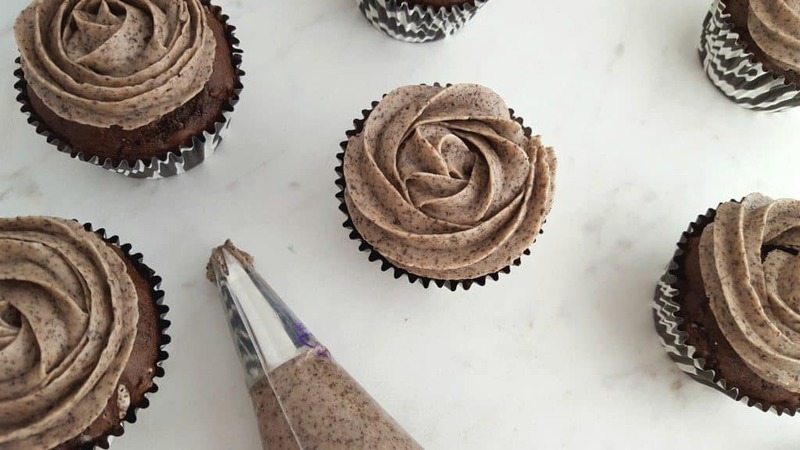 ***TIP: If using a piping bag and tip to frost, you may get some cookie chunks in the frosting that will plug up the tip. Simply use a toothpick to push through the end of frosting tip and break up the chunk to allow the frosting to flow back through.